Nobody is quite sure where Blackjack originated from, having many different connections to several variations of the game over the centuries. However, many do believe that the Blackjack we know today came about in French casinos during the 18th century where it was called Vingt-et-Un or ‘twenty one’. This game spread through the west, having slight variations in the rules from one place to another but still all early versions of the Blackjack we know today. The name actually originated from a special payout where a hand that consists of the jack of spades or clubs and the ace of spades would pay out at odds of 10/1. This hand was known as a ‘blackjack’ and while this rule was discontinued, the name stuck. Since then, Blackjack has become so popular that many online casinos have begun to feature live versions of the game that allow players to play from the comfort of their own home. Evolution Gaming offer the world’s fastest and slickest online live Blackjack, with fantastic features like pre-decision and betting behind. You can play anywhere you like from your tablet, desktop or mobile phone. They even offer a more informal setting of the game called Blackjack Party. 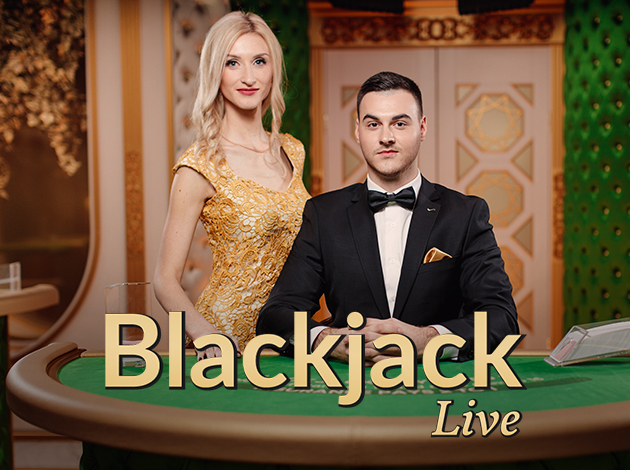 In this live version, you get all the same rich features of the classic live Blackjack but with added music and live entertainment from the dealer as well as a co-host. Blackjack Party is all about having fun and potentially getting paid out big! Blackjack Party has three features which make gameplay exciting, fast and efficient. With betting behind, side bets and pre-decision, the multiplayer aspect of it has be expanded dramatically, the speed of gameplay has also increased immensely and more excitement has been added to the game by adding more opportunities to get paid out. The table consists of 7 main players, however, with the option to bet behind, the amount of players that can take part in the game is limitless. Whether you are a new player and would rather not be in the spotlight or all the main seats have been taken, you can choose a player to bet behind and take a seat at the main table if one eventually opens up. Players can see the scores of the 7 main players which may help them choose which one they would like to bet behind. Additionally, if the main player is doing exceptionally well and is on a winning streak, a gold medal will appear next to their name. On this medal, you will be able to see how many rounds this player has won. You will also be able to see exactly how ‘hot’ this player is by the number of ribbons and stars around their medal. By offering the option to bet behind, the revenue potential increases immensely, while also giving all players an opportunity to play. Blackjack Party also offers two side bet features which add an exciting element to the gameplay. The perfect pair side bet allows a player to potentially increase their payout amount if their first hand consists of a mixed, coloured or perfect pair. Blackjack Party also offers the 21+3 side bet. This means that if the player’s first two cards and the dealer’s card make up any Poker-style combinations such as three of a kind, flush, straight or straight flush, then the player wins. Finally, pre-decision is part of what makes Evolution Gaming’s live Blackjack so fast and speedy. This feature allows players to make their own decision whether to Hit, Stand, Double Down or Split when the first player is making theirs. There is no need to wait around for your turn, increasing the speed of gameplay greatly. Blackjack Party essentially follows the same rules of the regular card game. Very briefly, the rules for playing Blackjack are as follows. The main aim is to beat the dealer by getting as close to 21 as possible but not over. Before the dealer deals out the cards, a bet is placed by each player. Following this, the dealer will give each player one card facing upwards in clockwise motion until he deals a final card for himself. A second round of cards is dealt however this time the dealer keeps his second card face down. If a player gets a blackjack on the first round, this is called a ‘natural’ and he or she is paid out one and a half times the original bet. If the dealer also gets a natural, it is a ‘stand off’ or a tie and the player gets his original bet back. If this does not happen, the player to the left of the dealer goes first and he or she must decide whether to ‘stand’ and not get dealt another card or ‘hit’ and get another card in an attempt to get closer to 21. If the total goes over 21, the player goes ‘bust’ and loses. When you open up Blackjack Party you will find the dealer and co-host behind a table. The 7 main players will have their names displayed around the opposite end of the table. The atmosphere of this live version of Blackjack is very relaxed and informal. The dealer and co-host engage in conversation with one another and sometimes with the players around the table who can communicate through the messaging service provided. There is also fun music playing in the background to add to the ‘party’ effect of the game. Evolution Gaming have taken one of the most attractive casino games to a whole new level with Blackjack Party. With side bets and pre-decision features as well as the option to bet behind, Blackjack Party is definitely the innovative, fun and exciting way to go.